Building and pest inspections Coomera, Upper Coomera, Coomera Waters. Coomera and Upper Coomera are some of the fastest growing suburbs of the Gold Coast. With newly constructed and affordable dwellings on offer, this area is very popular with interstate investors also. A new regional Coomera Shopping Centre will be coming soon, providing retail shopping on the doorsteps of Coomera residents. 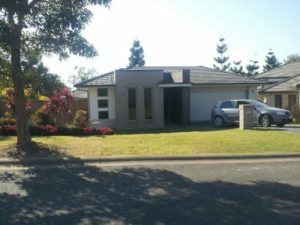 Coomera is a great location for those who commute to Brisbane for work as it is located at the northern end of the Gold Coast. The Gold Coast Institute of TAFE also has a campus located in Coomera. View reviews & comments from our other customer’s who have purchased in the Coomera area have to say about us and our services. Thank you for all of your advice and helpful information. Your great service made everything so easy. We will be sure to recommend you to others requiring inspections. Thank you for your assistance, my wife and I were very happy with the feedback and we will recommend your services to our friends. You did building and pest inspections earlier in the year when we bought a property in Carrara. We were very impressed with what you told us at the inspections and we would like to use you again for a new property in Coomera. Thank you for your outstanding work again. Your efficiency is unmatched amongst others. Looking forward to doing business again soon. Hello Pete, I just wanted to say a very big thank you to you and your team, from the moment the phone is answered to the last contact it’s been a great pleasure having used your company for our building and pest reports. The friendly and professional team were outstanding and we will be recommending you to all our fiends and family. Thank you. Thank you for your very efficient and professional service. Peter, your explanations made it easy for us to negotiate a reduced price on the property. We were recommended to you by our friends and we will be recommending you as well. Many thanks. Thanks Peter, it was a great help to be able to walk through the inspection with you and have you explain it all. Much appreciated. Will be sure to recommend your business to others. Thanks for the report Peter, we were very impressed with all of your advice and Geoff was too. You have been so helpful re-scheduling everything for us more than once and we really appreciated your excellent service. Thank you for your patience. Thanks for organising the inspections in such a short time frame, much appreciated. Thanks for inspecting 15 xxxxx St, Upper Coomera. I appreciated the information and both yourself and Simon were very good. Will definitely recommend and use you in the future should I buy again. Just want to say thank you very much for your amazing service. You carried out a building and pest inspection for a pre-purchase property at Maudsland. My husband attended the inspection, he was very impressed with the honesty of both inspectors. He was especially impressed with the building inspector Peter, for taking time to explain the process in great detail. We felt very confident with the report you have given us. I will be recommending your services to anyone I know buying a property. Thank you again.